It's Candy Bar Week! 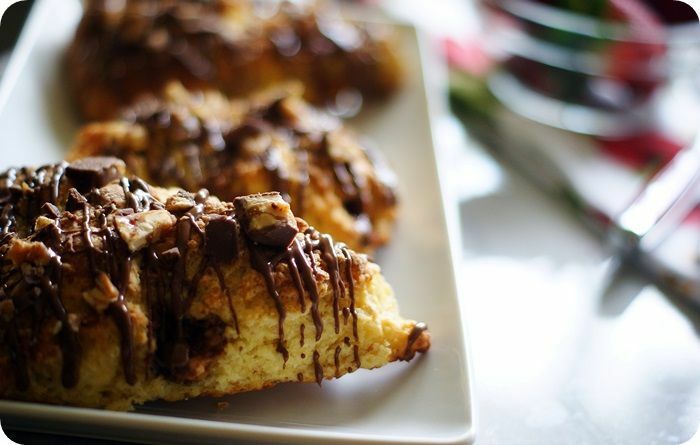 Snickers Scones! Shelly, Kristan, and I are declaring this week CANDY BAR WEEK!!! I'm not sure if that makes it official, but I plan on marking it on my calendar for years to come. I started thinking about the fact that breakfast really gets the short end of the stick in candy bar consumption. Poor breakfast. No wonder everybody skips it. So, I bring you....Snickers Scones. Not like those hard scones that can be used to hammer in nails (don't get me wrong; I like those, too), these scones are light and fluffy. 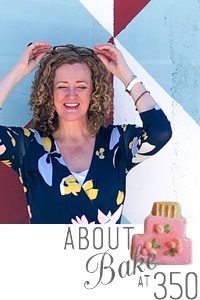 Don't be put off by the candy bar name...they're not super rich and they pair beautifully with a bowl of fruit and a cappuccino. Preheat oven to 450 and line a cookie sheet with parchment paper. Stir together the flour, sugar, baking powder, soda and salt. Grate the frozen butter on the large holes of a box grater. Stir into the flour until well coated. 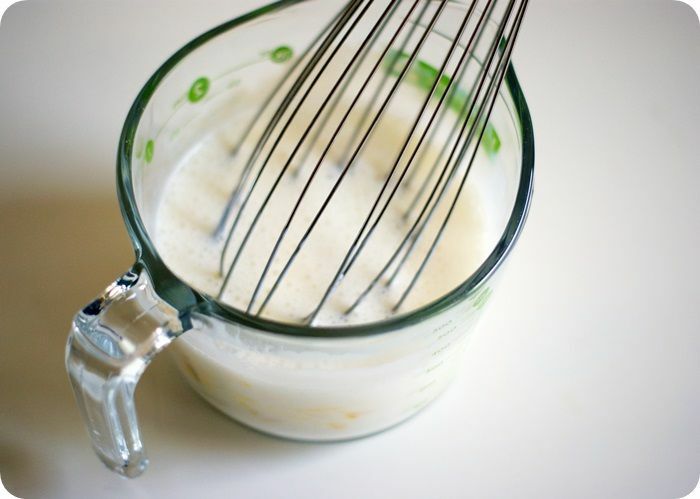 Whisk together the egg, buttermilk, and vanilla. 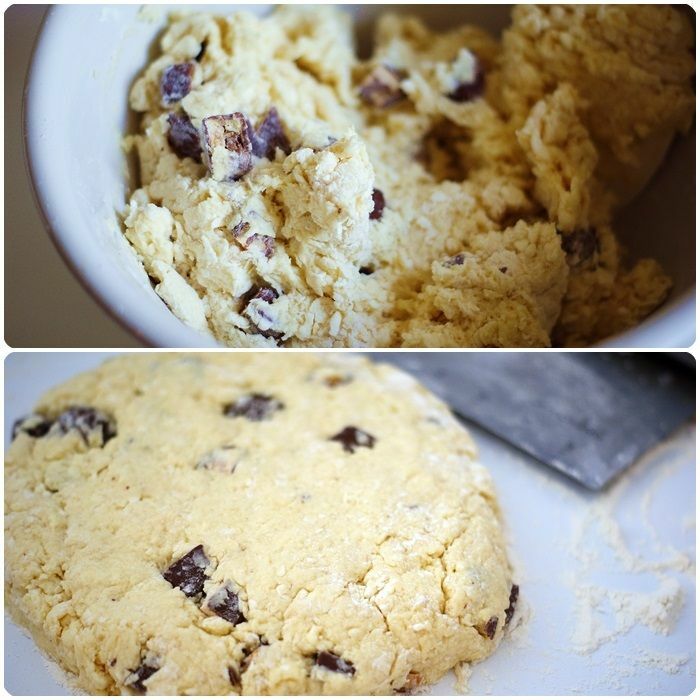 Pour into the flour/butter mixture and stir until combined (the dough will look very shaggy). Fold in the chopped Snickers. Scoop the dough out onto a floured surface and pat into an 8" circle. Use a floured bench scraper to cut into 8 wedges. Place the wedges 1/2" apart on a baking sheet. If any Snickers are poking out of the dough, push them back in to avoid the caramel oozing and burning while baking. Bake for 18-20 minutes, until golden. 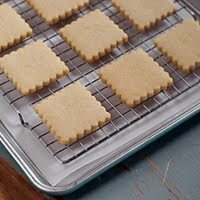 Remove from the baking sheet and let cool completely on a wire cooling rack. While the scones are cooling, make the topping. Melt the chopped chocolate and shortening in the microwave on 50% power for 30-second intervals. Stir after each interval until melted. 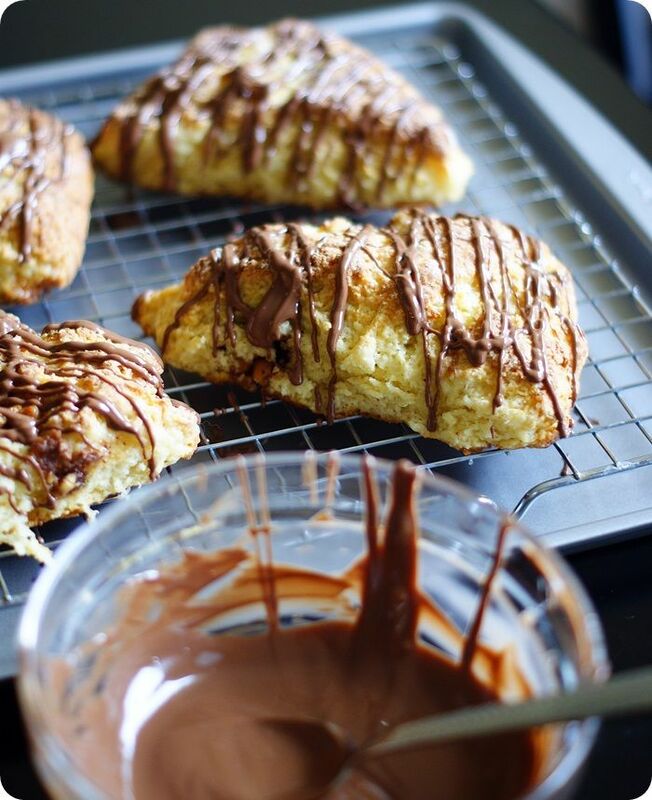 Use a spoon to drizzle over the scones. Sprinkle on the chopped Snickers. Candy bars for breakfast. If it's wrong, I don't want to be right. OK...now GO over to Kristan and Shelly's blogs. Like, right now. Not only are they two of the funniest and sweetest and coolest girls I know, they also work magic in the kitchen. Kristan is making Heath Bar Salted Caramel Brownie Trifles...oh. my. word. Shelly is making Homemade Take 5 Bars...are you kidding me?!? Be sure to come back for more CANDY BAR WEEK!!! YES! No candy in breakfast is EXACTLY why people always skip it. I KNEW it! 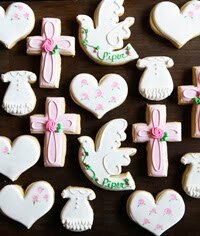 And I have a slight fascination with scones, yet have never made one. Which seems like the saddest thing ever. 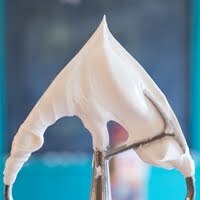 So basically, I'm making these for breakfast tomorrow. Oh my ... the perfect start to the day or for an afternoon tea, I say! Candy Bar week!!! Holy yes!! This is crazy and these scones looks awesome!!! :O These would be so evil in my household....I would need to eat them all at once! Snickers scones?? Oh my WORD!! They look amazing. I've got to try these! Oh.my.geez! Bridget you're absolutely right!! I didn't *need* an excuse to eat candy for breakfast but I'll definitely take it!! These scones look divine and I love love the fact that you grated the butter instead of cutting it in. Can't.wait!! There aren't enough breakfasts that include candy bars. It's a national travesty, really. Snickers are my favorite! This is pure genius! This is a terrible idea! The last thing I need is desert inspired breakfast food, lol. Whoa. These just blew my mind. I hope to make these in the near future! I've always liked snickers but now I think I'm in love with me. oohhh... I've never grated frozed butter before. 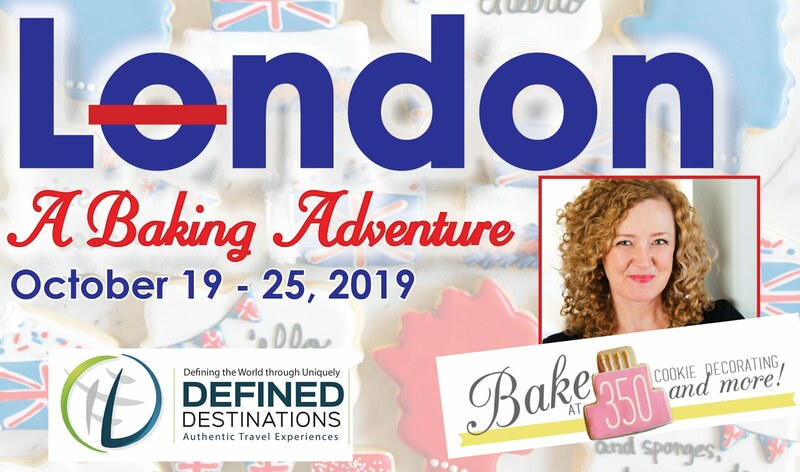 Sounds like a fun baking project! Now I can justify eating a Snickers for breakfast! Now this is my kind of breakfast! I'd love to wake up to these delicious scones - so yummy! Wow.. Wouldnt mind having these for breakfast!!! 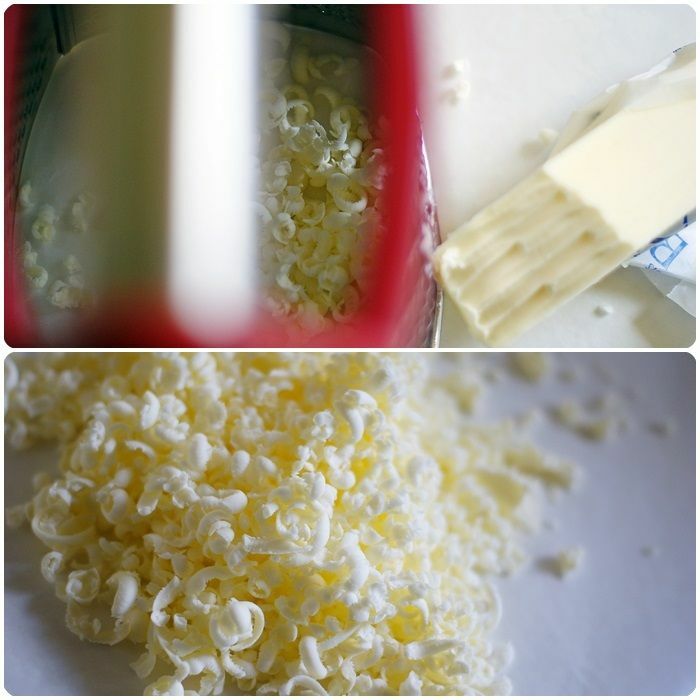 Grating frozen butter ... GENIUS!!! Thank you for this! Hurrah! Candy bar week rocks already! Can't wait to see what the rest of the week brings. Candy for breakfast ... I love it ... 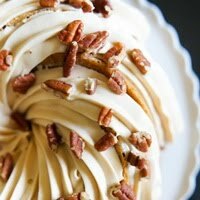 I always hid that from the kids ;) Thank you for sharing this recipe! I forget about grating frozen butter, thank you for the reminder! Snickers and Scones? in ONE? Ehmuhgah. YUM. And I used to think that Morning Glory Muffins made for a great breakfast. Move over muffins! Another excuse to go to the Target sale candy section, I'll take it. These would make my mornings so much better! This sounds so amazing! It is a winning combo - snickers and scones! 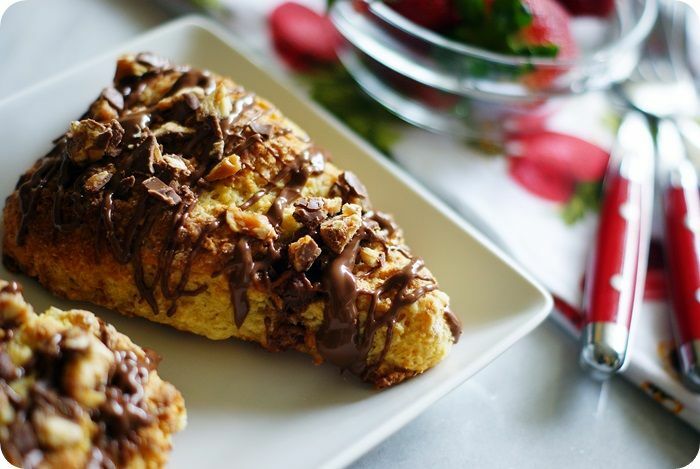 I love the idea of a candy bar in a scone. 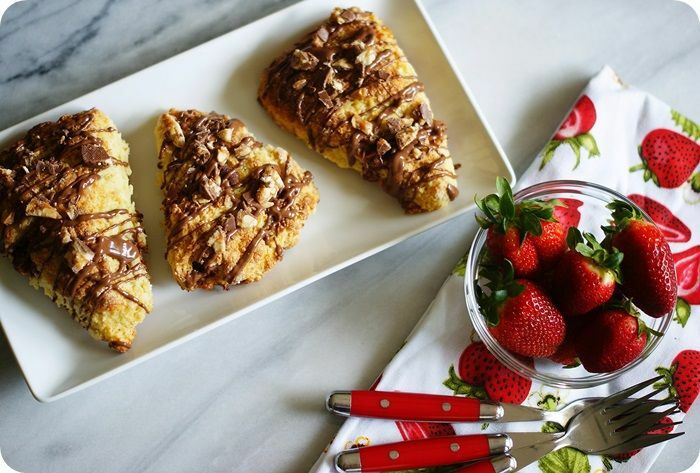 I also love the idea that I will now have to go out and buy some Snickers bars - some for me and some to make these scones. A win-win situation. Oh dear LORD. Those look sinful. I shall make them. Immediately. Candy bar week? This is going to be the best week ever!! I have grown up on scones but never had candy scones!! Sounds like a great breakfast to me!! 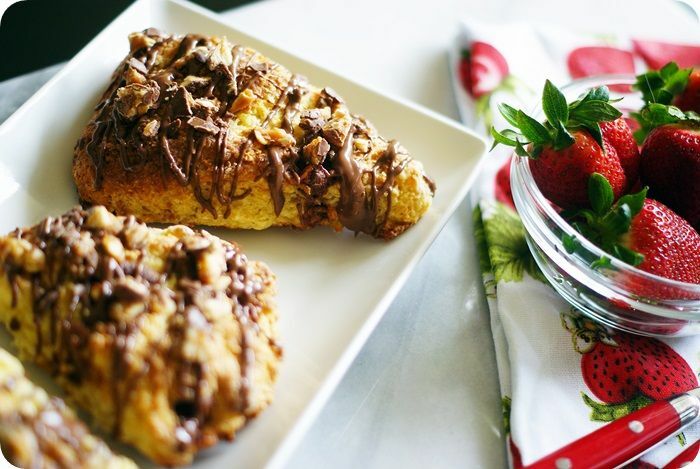 Snickers on scones - it's like a dream come true. I used to be addicted to Snickers, but then I've decided to say goodbye to this kind of sweet food. But your scones - it's a different story. Thank you! You are killing me! I think I may try to bake them gluten free! 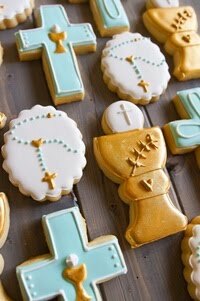 I made these today with Rolos....I thought they might be over the top sweet but they are not! They are divine!! Thanks for sharing!! Oh heck yes. Now these would get me out of bed in the morning, no problem. As if I didn't love scones enough already, now you've gone and added one of my favorite chocolate bars. Get in my belly! These look brilliant. I can't wait to try them. I'm all in favor of candy for breakfast. What a perfect way to fight off depression than eating chocolate first thing in the morning.